For infants we know you have your own preferences for food. We usually rely on parents to bring in formula or baby food of your preference. However, if you have special requests, we are happy to accommodate how we can! If you have specific questions, please don’t hesitate to give us a call at 281-201-6296. Kid Scholars Academy’s infant room teachers takes joy in holding and cuddling the infants. You will find our teachers with them to encourage their mental and physical development. Teachers work with each child in a series of stimulating activities that incorporate the natural routines of feeding and play. The teacher reinforces the babies’ development without disrupting their daily schedule. Your child will learn to grasp toys, vocalize sounds, recognize pictures of familiar objects and acquire a variety of other skills. communicating with your child in order for him/her to develop language and literacy skills. environment. They can see and follow people and objects with their eyes. Teachers nurture and encourage infants’ developing sense of self. Infants start to develop relationships with the people around them right from birth. Our Loving Teachers help babies to learn to communicate, share, and interact with others through daily activities that will promote social- emotional development. h nurturing and responsive relationships. 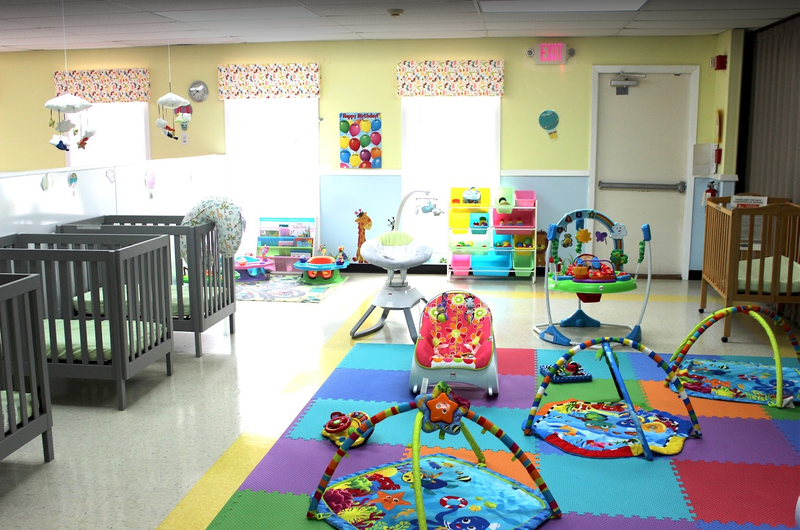 With this type of care, infants feel safe to explore their environments freely and use their imaginations. They learn to trust that their caregivers will value and accept the ways they express themselves and experiment with their new ideas.